We are strong proponents of cat rescue and adoption. That being said, we know that people may often have their heart set on a certain breed of cat, and we believe being informed about the type of breed your cat is will allow you to take better care of your furry feline. We encourage potential cat owners to visit shelters, adoption events, and rescue facilities when searching for the right companion. 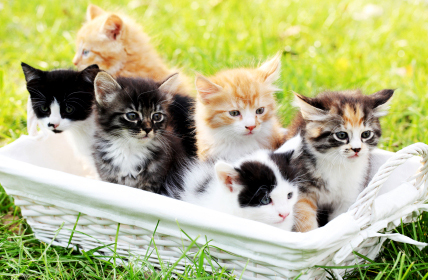 Many cats available for adoption are purebred, and some are a distinguishable mix of several breeds. Often, rescue groups are breed specific, so you may not only choose the breed of cat you want, but you will become a real hero by adopting. No matter how you plan on finding your new cat, it is wise to be aware of certain breed characteristics prior to choosing a cat for you and your family. An individual cat of a certain breed may not display all, or any, of the behavior or health characteristics associated with a particular breed. However, we can generalize and explain how most cats of a particular breed tend to be. Here you will find articles on various breeds of cats, and specific types of behaviors, habits and personality traits that are associated to them. Note: We will be adding articles to this site on a continuous basis to discuss many different breeds. Please send us photos of your pets, letting us know a little about them and what particular breed they are. Purebred or cross, we would love to see photos and post them under their specific type of breed for others to view.